Our Women in Beer both was a two-part experience. The first was a bar and lounge area outfitted with inspiring stats and messaging that spotlighted powerful women in the beer industry, celebrating their contributions. 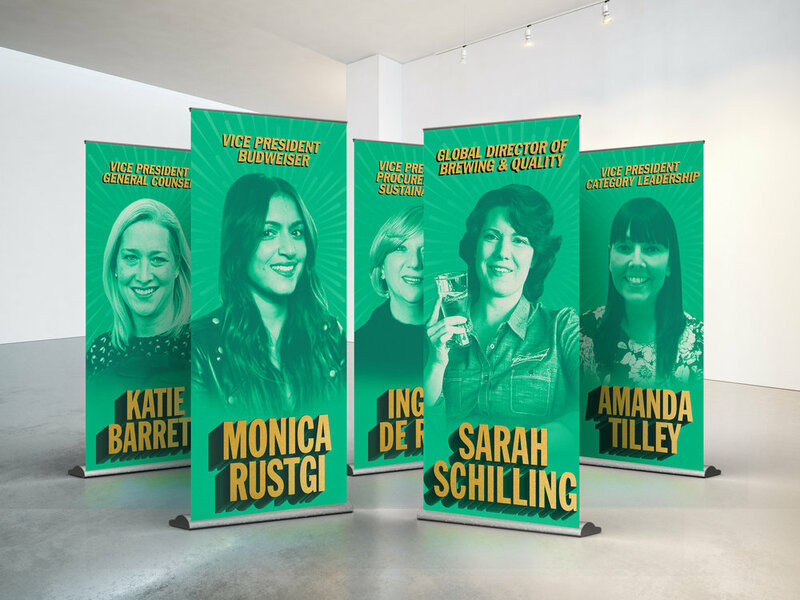 We printed large-scale posters of some of AB’s most influential women, created fact menus that outlined figures reflecting the current stance of our industry and how it can be further improved by the inclusion of women, and stocked our bar with beer brewed by women. The second area was an escape room modeled after a typical ‘Boys Club’. We outfitted the space with with a full bar, AB memorabilia, plush chairs, rugs, lamps, golf clubs and other accents that gave the room a dated, hyper-masculine feel. 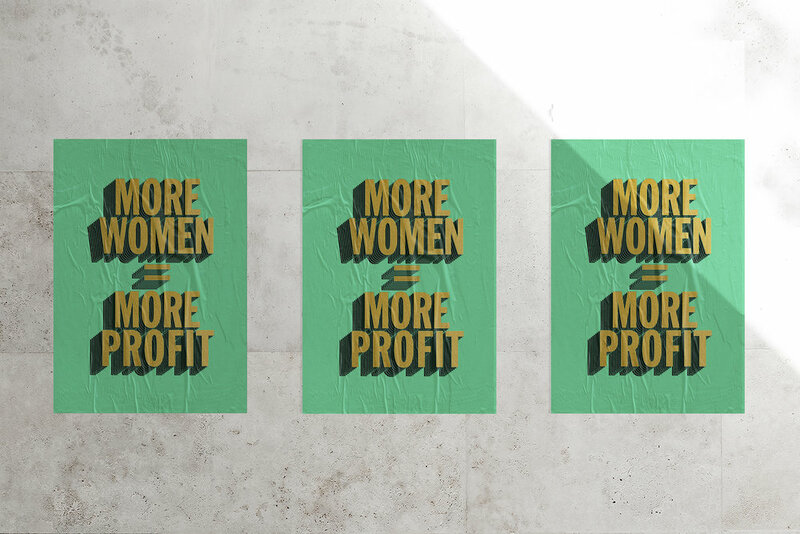 Here, participants discovered clues rich with facts and statistics about the female experience in beer that ultimately unfolded the profitability of having a more gender balanced world. These educational clues then lead them closer to their escape, ending in a room with a photo op and a celebratory pat on the back for escaping the Boys Club.